Joke: Spoonerism on "Tricks are for Kids"
Narrative: Personal: Supernatural: Grandfather as Folk Hero: Stories of Coal Mining and "Bad Feelings"
Narrative: Family: "...again...I just want to reiterate that it happened on Bec's watch!" Games: Avalon (Medieval Role-Playing) an Female Empowerment. 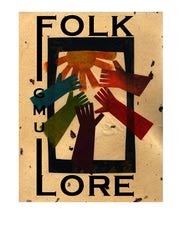 Group: Occupational folklore at Coffee House. Access to this file maybe obtained through the George Mason Folk Life Department. Narratives: Supernatural: "Old Man Johnson"
Groups: Sports: Rowers in Washington D.C.
Narratives: Occupation: Motorcycle Courier in Washington, D.C.
A Break in the Chain of Transmission Influenced by Fear and Communication Barriers. Narrative: Supernatural: Deceased Mother Gives Sign. Personal Narratives of Sales People: "May I Help You, or Would You Rather Bite My head Off?" Personal Narratives: "When You Just Say Philippines, It Just Comes Alive"
Story Telling Tent: Ghost Story, Candle Magic in Seven Hills, MD. Family Foodways: "The Famous Sauce that came out of the can"
Personal Narrative: "I've Been Everywhere, Man"
Personal Narrative: Military: "Are We Even Still in Rome?" Personal Narrative: Snowstorm of Metropolitan Washington area 2010 "Snowmageddon". Personal Narratives: Snowstorm of 2010.